Building a multi-storey structure calls for elevated levels of expertise. As New Zealand becomes a more densely populated nation, demand is increasing for high-performance buildings with multiple levels of occupancy. Elevated Post-tensioned construction is a concrete reinforcing process that is readily adopted globally due to its associated architectural freedoms, construction efficiencies and structural resilience that provide significant short- and long-term commercial benefits over other methods of construction. This method of reinforcing concrete enables a designer to take advantage of the considerable benefits provided by prestressed concrete while retaining the flexibility afforded by the cast-in-place method of building concrete structures. The post-tensioning process introduces internal forces into a concrete element using highly tensioned steel strand with four times the strength of conventional reinforcing steel. This counteracts the external loads applied when the structure subject to its service loads. The result is a stronger concrete element that is actively compressed and has more capacity to resist tensile forces. 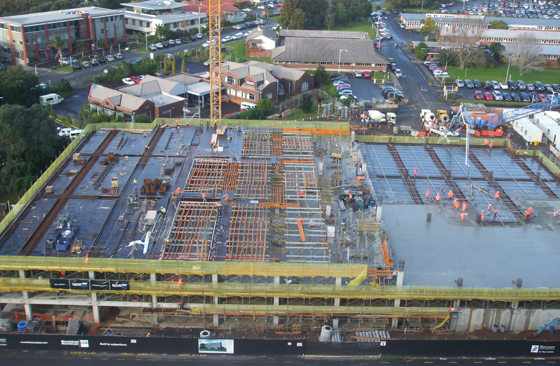 While post-tensioned construction can be used in conjunction with many types of structural elements, materials and structures, elevated post-tensioning refers to the construction of elevated (or suspended) concrete slabs used in the construction of multi level commercial, residential and carpark buildings. To learn more about the technology we use click through to BBR Post-tensioning Systems page. 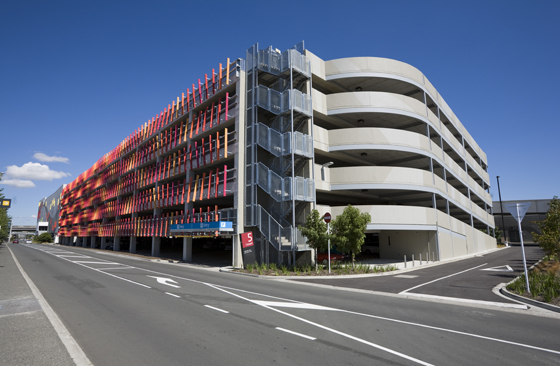 The Waitemata District Health Board had a requirement for a multilevel car park to support its main North Shore Hospital located on the shores of Lake Pupuke. Contech worked closely with the Head Contractor Brookfield Multiplex to develop an alternative design utilising post tensioned cast insitu floors as an alternative to conventional precast pre-stressed concrete construction.